Can you tell us something about your journey till joining NewAge and shed some light on why you decided to join the company? After completion of engineering graduation, I wanted to gain professional experience in real world outside family business. I wanted to try out myself in the outer world where I can understand my strength and weaknesses in neutral environment. I was also trying to figure out where my interest lies by exploring different fields. I have tried tutorship and managerial consulting roles for about 5 years with few years of international exposure. Back in 2010, NewAge underwent a split in the organisation and there was a strong requirement of someone who could withhold our footprints in the international market. I just felt then, It's the right time ! Tell us something about NewAge and your role. What are your plans for future? 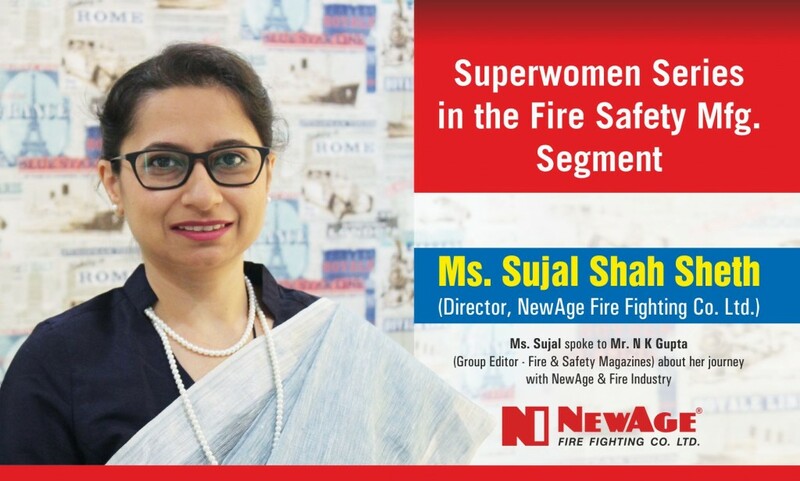 Newage was founded in the year of 1960 at Surendranagar, Gujarat and it has more than 5 and half decades of experience of manufacturing various kind of Fire Fighting Equipment. Newage Group has the factories spread over 50,000 sq. mtr. at Surendranagar. Since last 45 years Newage is selling its product abroad as well and today exports the products to 60+ countries. Since its inception, Newage has grown to become the only vertically integrated manufacturer in the subcontinent to provide the complete range of Fire Fighting Equipment starting from Fire hoses, Hydrants, Water Foam Monitors, Foam Equipment to Fire Fighting Portable Pumps, Trailer Fire Pumps and Fire Vehicles and is the indisputably the leading manufacturer of these products. It is considered a benchmark in the fire industry due to its consistent and quality based principle. Our Fire Fighting Equipment are carefully engineered to cater to the specific needs of each industry and deliver the best experience. Our team of R&D experts consistently monitor the industry specific requirements to develop new products and improvise the existing ones to deliver best world class products for all market sectors. I head the international businesses for the company. We are looking at digitalising vertical and horizontal value chains from product development and purchasing to manufacturing and logistics. While focus continues on penetrating in domestic market, we are also looking to enhance our foothold in the global market by increasing sales in existing markets and by identifying new geographies. We intend to hire more staff to encourage growth and invest in new assets such as machineries to increase productivity through factory automation. The key priorities in near future will be to launch our various products in the emerging markets. 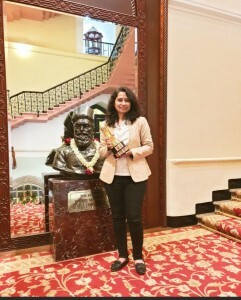 Being one of the few women in the Fire and Safety in India, what challenges do you face? Honestly I feel gender cannot differentiate capabilities. I already feel and live equal. In business, there are much bigger battles to conquer. 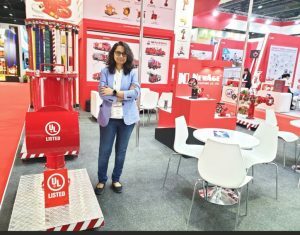 It is true that Indian Fire Industry is still growing and has very few women. However this is changing at a very rapid speed with proper exposure, education and knowledge being imparted to females. But, I am glad to share that I have not faced any specific challenge being a female. On positive note, I am glad that I am one of initial few females in this industry to make a mark! Can you tell us other personal and professional qualities which have helped you reach the point where you are right now in your career? There are three key differentiators in me as human which constantly help me upkeep the demanding business and social needs. I speak my mind. Honest and truthful feedback with open mind-set. I learn from my mistakes. Try not to repeat mistakes. I believe in myself. Strong will can move mountains. I always believe that I am fortunate to get platform to demonstrate the professional skills and should not waste an inch of it. This keeps me going. Did you have a mentor to guide you through your professional journey? Who are your supporters for reaching where you are today? Throughout the journey so far, my guide and my mentor has been my father Mr Hemant Shah. He has always inspired me to follow my dreams and my efforts have been well supported by him. My brothers who were already part of business, have played an important role during my initial learning curve. Is the gender gap still present in leadership positions? If so how do you think we can overcome the same? The gender gap in India is narrowing in recent times but yes, it still persists across all sectors. Even as our country ranks fifth lowest in having women in leadership roles, gender diversity has improved with the representation of women in top leadership positions slowly and steadily rising to 20% in 2018 compared to 17% in 2017 according to one of the reports. This number stood at 14% in 2014. The heart of the matter remains in fighting the stereotypes of women not being able to manage businesses. Age of the women and associated life events also plays a huge role in creating these stereotypes. The situations can be improved if we start giving women the credit they deserve. To overcome the gender gap, a revolution needs to be brought in societal pressures that contribute to gender differences in personality traits. We must accept the equality in our minds and apply it in our virtues. Lastly, would you like to say something to women who are entering the industry and striving every day? Well, all that I would want to say is Rome wasn't built in a day, similarly, it takes time to get the dream job and reach the dream position but if you keep your eyes on the prize at the end of the day you will reach it. Keep pushing past every thought that makes you feel you can't do it. I personally feel that it's the mind-set that stops or creates obstacles in any person's growth, not the situations or other people. This applies to everyone irrespective of the gender. Just take power through the hard parts and you will reach your goal, it might take some time but it will be worth it.